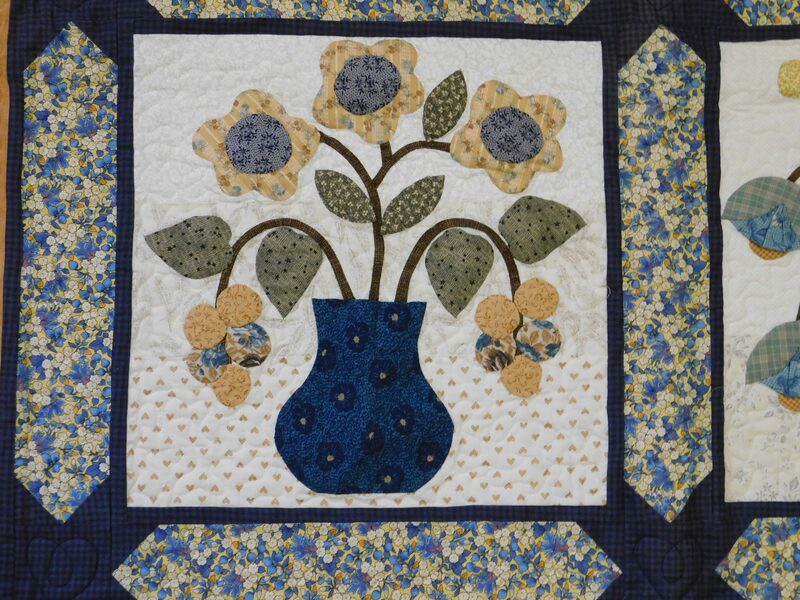 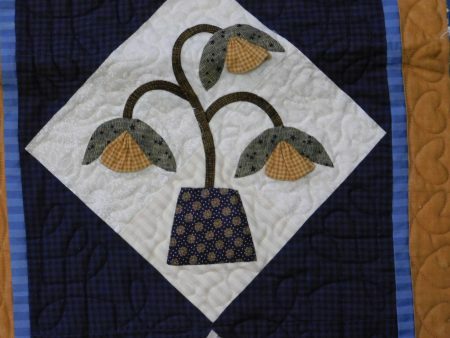 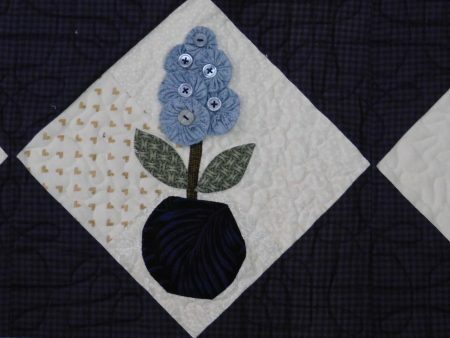 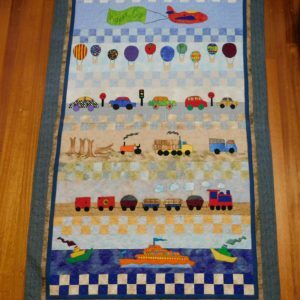 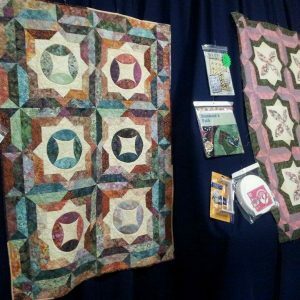 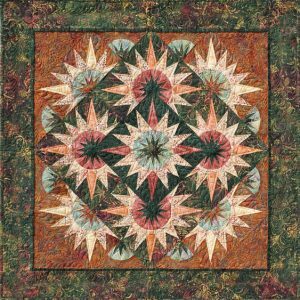 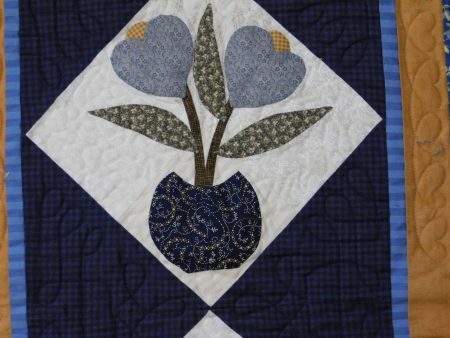 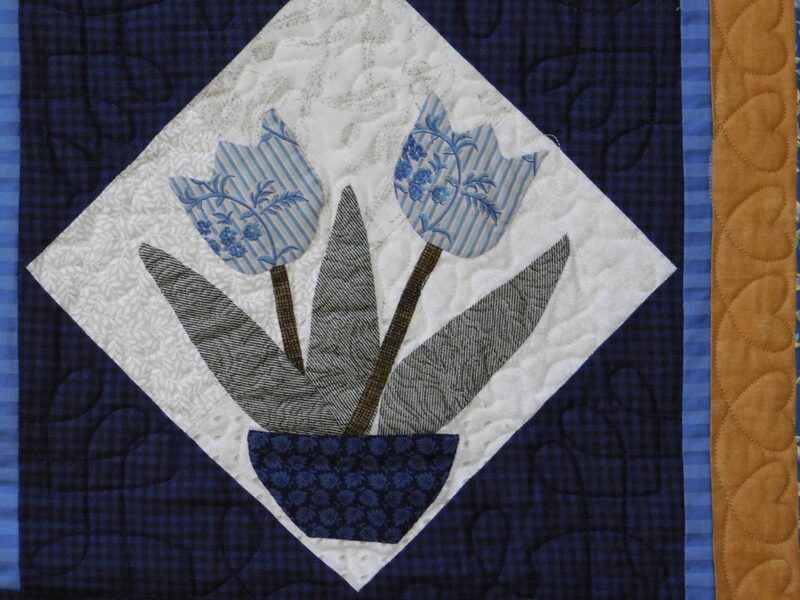 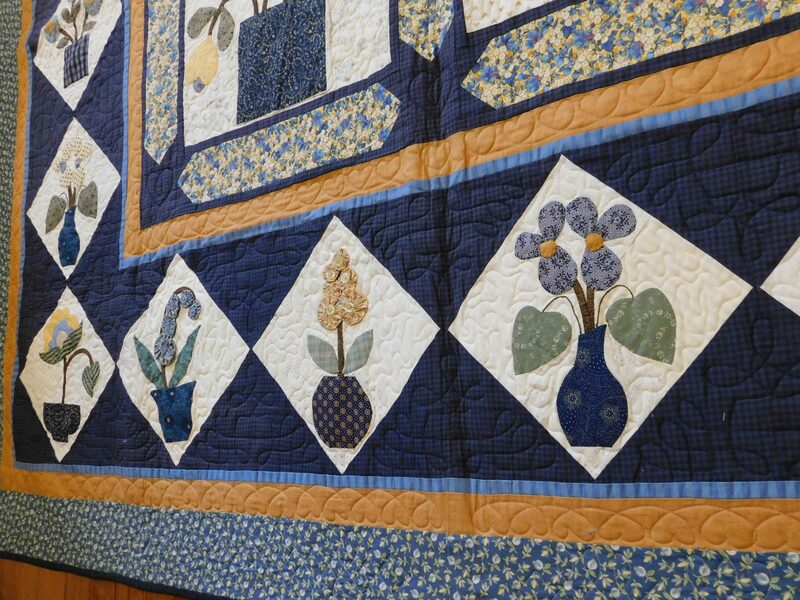 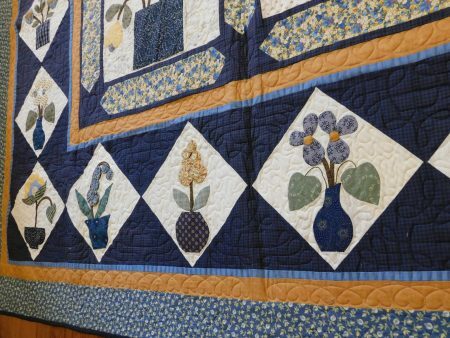 Stunning Quilt pattern, designed by Therese Hylton of Patchwork Pumpkin. With the superb drama of the dramatic white applique background against the dark blue of the borders, this quilt is truly stunning. 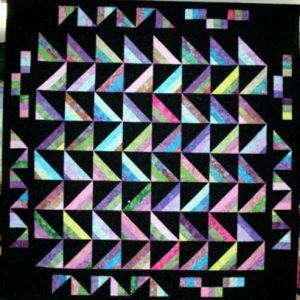 The main applique has been done in the needle-turn style, but you can use another method if you prefer. 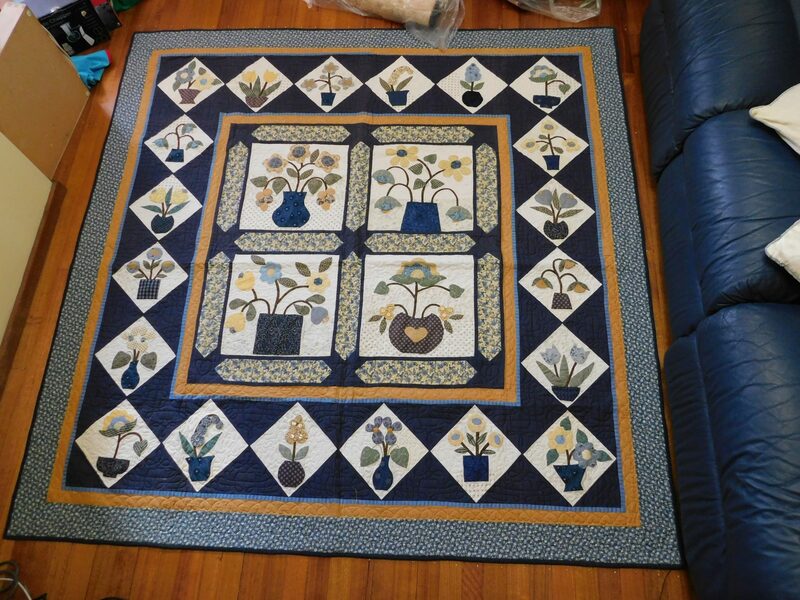 Finished size is approx 74″ x 82″ .